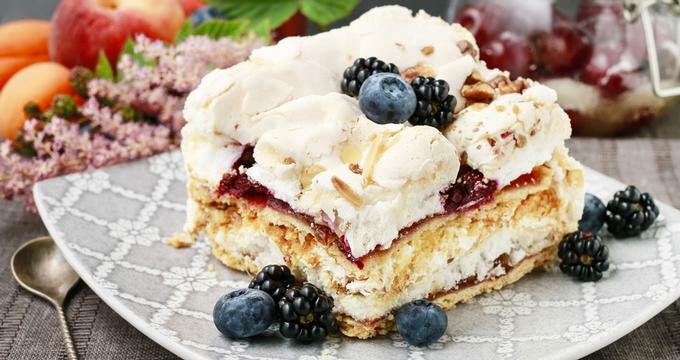 Whether you love cakes, pastries, ice cream, amazing breakfast pancakes, bagels and sliders, these unique bakeries, cafes and ice cream shops in the United States are not to be missed. Plan a weekend trip to a popular destination like New Orleans and San Francisco, or visit a small town to try these tasty treats. 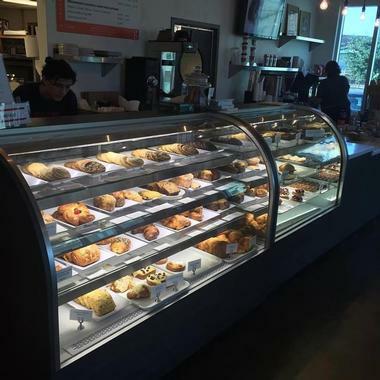 Gracious Bakery & Cafe in New Orleans is bright and contemporary, with a beautiful cakes and pastries display. It is a veritable gallery of edible art, glossy chocolate chunks of Black Forest cake, gourmet moon pies, passion fruit coconut cake and so much more. Whether you want to overindulge or get the perfect birthday or Valentine gifts, these delicious treats cannot fail. If you want your pick of the wonderful baguettes offered at Gracious, you have to come early, they go fast. When you go to Bi-Rite Creamery for your ritualistic scoop of salted caramel or honey lavender ice cream, calories are the last thing on your mind. All you can think about while waiting in the long line is the smoky flavor of caramel, salted just enough, or the flavor of real pecans in the butter pecan ice cream. Creamy, fluffy scoops are made of organic local ingredients, all sourced from the area. As you stroll through charming Chincoteague Island, you will spot an adorable red and white stripped lighthouse in the middle of the city. It is not there to help the navigation of ships, but of tourists craving something cold and delicious. 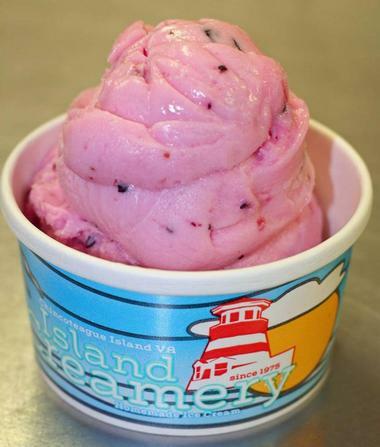 It has been home of Island Creamery since 1975, and the locals will tell you that this is where they go for a scoop of Mint Chip, complete with large chunks of dark chocolate, or Java Jolt, made with strong coffee and chunks of chocolate brownies. For some people, breakfast is all about pancakes. So when you find a place that makes them perfectly fluffy, light and melt-in-your mouth good, you will go anywhere to get your fill - even a shopping mall on Marguerite Parkway. This place is incredibly popular with locals and tourists alike, so be prepared to wait in line. The restaurant is no-frills and always packed, but the food more than makes up for it. Everything is good, but Banana Macadamia Nut Pancakes with Stacks' famous coconut syrup are one of the most ordered dishes. You can also find a few other menu items that will make you stray from the pancakes, such as the Kahlua Pork Omelet or the Hawaiian Loco Moco. The folks at SoCo say their ice cream is very simple: They use their secret recipe made in their New England kitchen, blend some fresh milk with cream and cane sugar, add a few flavors, and that's it. The result is divine, and when you taste SoCo ice cream or sorbet, you taste realcocoa powder, organic coconut, morsels of raw ginger and whatever fruit or spice they add to their all natural ice cream. There are no growth hormones, artificial sweeteners, flavors or colors,or corn syrup. The selectionis huge, and all the flavors are delicious, but bourbon eggnog, autumn pumpkin, coconut lemongrassand mission fig are all contenders for the most popular flavor. New England ice cream lovers don't let a little cold weather prevent them from enjoying ice cream. This is especially true in Northampton Massachusetts where Herrell's is serving up more than 300 flavors of gourmet ice cream year round. Aside from the traditional dairy-based ice cream, they also offer dairy-free, vegan, lactose-free, gluten-free and sugar free options. It is the kind of ice cream that you do not lick, you eat. Its chewy, dense and very rich, it almost has no ice crystals, which means It doesn’t melt fast, so feel free to pour some hot fudge over it. Their star flavors include Salty Caramel Wave, Party in a Cup, Triple Malt, Chocolate Bourbon Pecan and Burnt Sugar 'n' Butter, and they keep coming up with new flavors all the time. Before you leave their charming downtown store, make sure to get some of their fabulous homemade hot fudge in a jar. 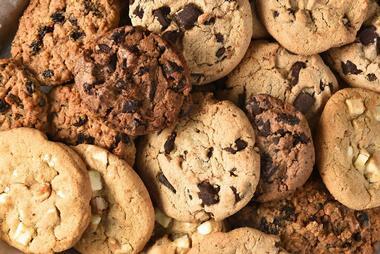 Herrell's is also an excellent bakery that offers dairy and non-dairy No-Moo® baked goods. 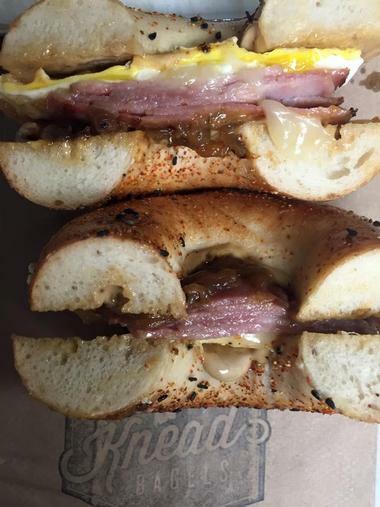 Knead Bagels is a tiny place on Walnut Street, north of Washington Square, that brought real, New York-style bagels to Philadelphia, to all the bagel-lovers delight. The bagels are as they should be – dense and chewy, with a shiny almost crunchy crust. Their bagel spreads are anything but classic with such delicious offerings as togarashi with lime, scallions and cream cheese or pastrami-spiced with smoked chopped liver. For the last 100 years, Washington Park locals have been coming to this quaint house on the corner of University Boulevard to get their ice cream fix. The building first served as a drugstore with an old-fashioned soda fountain, and then asa Dolly Madison Ice Cream Shop. It wasn't until 1986 thatBonnie Brae Ice Cream took over and became the favorite stop for local families. 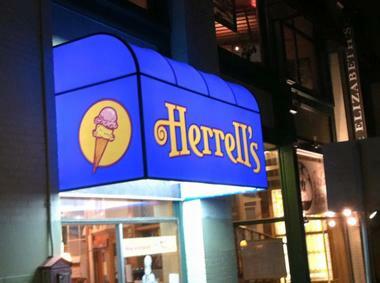 They have 140 flavors of ice cream, 32 of which are served daily, even offering two vegan options as well as sherbert or sorbet. Some of the more popular flavors include Oreos and Cream, Triple Death Chocolate, Orange Creamsicle, and Carrot Cake. Make sure you have some time to spare when you stop by as there is always a long line in front of the store's iconic red and white stripped awning. 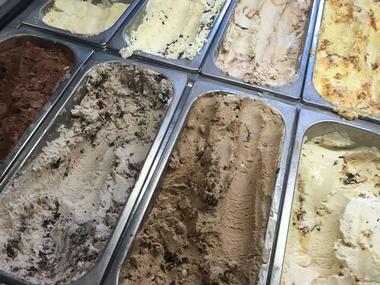 All ice creams, cones, cakes and pies are made in the store and you can take them home or eat them inside or on the outside patio. Guests can enjoy their treats in an old-fashioned atmosphere, complete with red vinyl seats and handwritten menus. Schmear It is a bright red bagel food truck coming soon to a neighborhood near you with hot, chewy bagels and delicious La Colombe coffee. Check out their Facebook page or Twitter for the daily schedule. 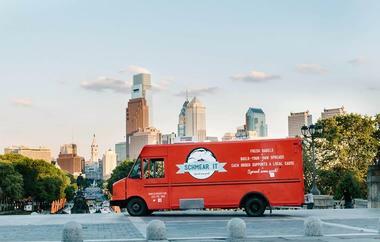 The bagels come from South Street Philly Bagels but the truck driver and owner Dave Fine will be happy to toast it for you and fill it with your choice of spread, or schmear it as he says, and he can really schmear. Only your imagination is the limit of what you can mix, some popular toppings include cream cheese, egg salad, tuna salad, a vegan tofu, and a peanut butter and nut spread. You can also add mix-ins such as lox, tomato, scallion, cucumber, mango, sriracha, wasabi, banana, maple syrup, blueberries, and who knows what else is coming. For an industrial space with exposed brick and ducts on the ceiling, District is surprisingly homey and comfortable. You can see an interesting mix of customers, from a grandfather taking his grandkids for fresh doughnuts, or an office person having his first morning cup of delicious coffee (they get their coffee from small suppliers) to local gourmands who know where to find the best doughnuts in the city. What they do to doughnuts is pure art. You can find your classics with home-made glaze and in-house made creams and fillings, and then you can have Croquenuts, which are griddled doughnut sandwiches with stuffing such as roasted pork belly, smoked ham, Havarti cheese, red onion, guava mustard, and pickled veggies. Their sliders, a fancy name for small sandwiches, are fabulous too. Entering J.J. Hapgood's you will feel transported to the romantic past, straight to 1827 when the store first opened its doors. 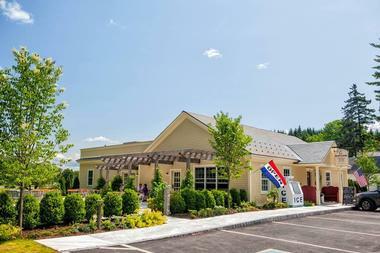 It is filled to the brim with everything that a family might need such as dry goods, Vermont produce, meat, dairy, charcuterie, local cheeses, authentic wood-fired pizzas, ready-made meals, candy, fine wine, beer, pastries, breads, gifts and much more. Many of the objects are original to the store, but the custom-made wood-fired oven, a gallery space and outdoor patio are new. Locals often stop by for their morning coffee and you can smell it - they use a special blend of fair trade organic coffee. Their pizza dough, pastries and breads are made daily with organic local flour. The breakfast menu is small but delightful, with offerings like organic local granola or oatmeal, organic oatmeal pancakes or Misty Knoll Turkey Hash with house-roasted turkey, mushrooms, potatoes, onions, peppers, herbs and fresh cream, served with two poached eggs and toast. 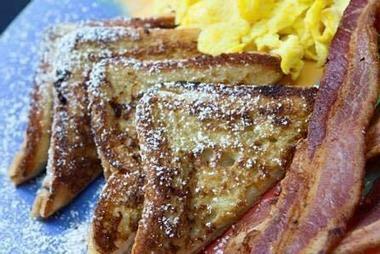 Be prepared to wait because the Breakfast Klub is popular. 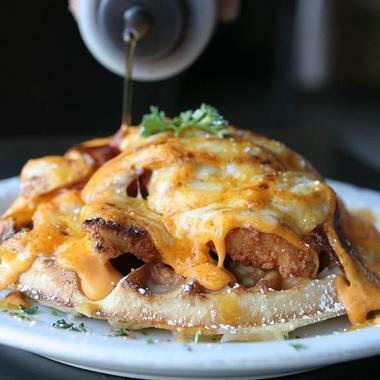 This mid-town Houston institution is a diner-style eatery where local families come for breakfast after church, but also where business types bring their clients for a power breakfast, and where students hang out over endless cups of coffee and affordable meals. How do you choose from 150 flavors of ice cream? With such imaginative concoctions as Summit Oatmeal Stout, and Mexican Chocolate Fiesta, it is not easy. At Izzy's, whatever flavor you choose, be prepared for a little something extra in the form of a small bonus scoop of ice cream on top, otherwise known as the "Izzy Scoop. 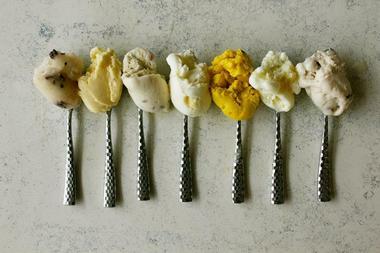 "All their ice creamsand sorbets are made by hand in small batches - it is a slow process, but what a difference. Their St. Paul store is adorable, very colorful, with an almost festive-like atmosphere, offering outdoor seating with small bistro tables on the sidewalk. Izzy's goal is to make each customer smile, and one way they do that is with the“Isabella”: Your choice of ice cream, served in a house-made waffle cone with a hand-made Spanish Marcona almond treat on the bottom, with an Izzy Scoop on top, finished off withan Oblaten cookie and house-made whipped cream. Although it opened in 2004, Creole Creamery has a 1950's-feel to it, often being referred to as an ice cream parlor. The chain's small uptown shop has the décor to match its vibe, with black and white tiled floors, wide leather booths and the sweet smell of cones, cakes and pies. Their delicious scoops, sundaes and malts come in many flavors, some very imaginative, but you can always find good old vanilla, cookies and cream, and mint chocolate chip. 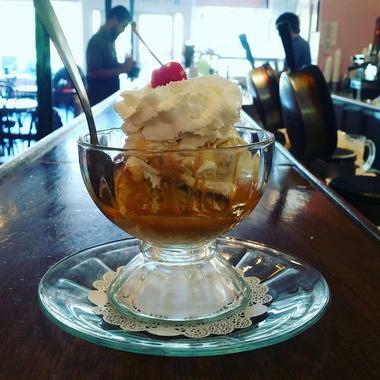 The Creole Creamery is challenging its fans to “The Tchoupitoulas Challenge," in which guestsare challenged to try and finish a Tchoupitoulas sundae made with eight scoops of ice cream,achoice of eight toppings,topped with whipped cream, wafers and cherries. The reward is your name on their hall of fame. What is the difference between ice cream and gelato? Gelato is made using anold, traditional Italian process, it has less fat, is denser, is served slightly warmer than ice cream and is made in much smaller batches. Come to Dolce Neve and find out first hand. The gelato is prepared right in front of guests, so you can watch it come together from start to finish, ending up with a delicious, fresh product. This small, bright and nicely furnished shop serves original Italian homemade gelato, cakes, gelato sandwiches, coffee and espresso. Dolce Neve goes for quality over quantity- there are only 18 flavors, which are handcrafted daily as needed.